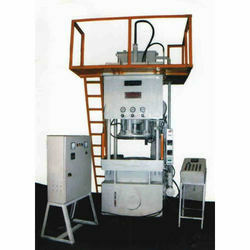 We are one of the leading manufacturer of Heat Treatment Machinery. Backed by a team of diligent professionals, we are engaged as the leading manufacturers of Heat Treatment Machinery. These machineries are designed as per the latest norms of the industry. Also, they are highly reliable in nature and high in performance. Our experts stringently test these machineries on various parameters so as to assure its performance and its quality. Due to this reason, our machineries are widely appreciated and we are offering them on very reliable rates.